You want healthy teeth, Avoid these foods! Bello Dental Associates Blog You want healthy teeth, Avoid these foods! The prospect of a toothache scares us all. It is indeed one of the most painful experiences you can have. Now, toothache can arise from several reasons- be it swollen gums or tooth infections. It is hence wise to have maintain proper dental health to avoid this intolerable pain. Also, who doesn’t want to have shinier and healthier teeth that last a lifetime. Bad Breadth: From a personal problem, it can turn into an embarrassing personality problem. Teeth Sensitivity: Teeth sensitivity issues crop up if proper care is not taken. It becomes very difficult to consume foods and fluids with sensitive teeth. Bleeding gums : Swollen gums are a direct result of bacteria in the teeth. Toothache: This very scary experience can be avoided with proper dental care. Mouth sores: Mouth sores make it difficult to consume any kind of food. Infections: Conditions like Gingivitis, periodontitis can also develop under the influence of bacteria. Proper dental health starts by brushing your teeth regularly. But then that is not enough. If you want to keep your teeth healthy and strong, you need to compromise on some of the foods you always gorged on. The sugar content in most foods help bacteria to grow and assimilate. This in turn puts your dental health at risk. Tannic acid in coffee affects the enamel coating which in turn make your teeth brown. Also coffee dries up the mouth, and its sugar content makes the teeth an easy breeding ground for bacteria. Alcohol stains the teeth, wearing down the enamel coating. Heavy drinking can lead to mouth cancer. Alcohol’s dehydrating qualities dry up the mouth making it difficult for it to produce saliva, which usually keeps the teeth clean and free from unwanted junk. Saliva also plays an important role in digestion. When the saliva production is lowered, this deteriorates gum health and can lead to severe conditions like mouth cancer. Phosphoric acid and Citric Acid is present in carbonated drinks which in turn weaken the enamel. Carbonated drinks also dry up the mouth. The sugar content is also worrisome because sugar makes your mouth susceptible to bacteria. The inclusion of popcorn in this list is due to numerous studies made on the same. One bite of un-cracked popcorn can cause the total rupture of your teeth. Chunks of potato chips may get stuck between teeth. This in turn might help bacteria to grow around the oral cavities. The starch content is very high in these foods. The enzymes in the saliva take no time to covert the starch into sugar. Sugar, as we know, is very harmful for the teeth. Bread too has a lot of starch. Hence you need to keep a check on the amount of bread you are consuming. They have a lot of beneficial medicinal properties but when it comes to teeth, having too much of them can cause enamel staining. 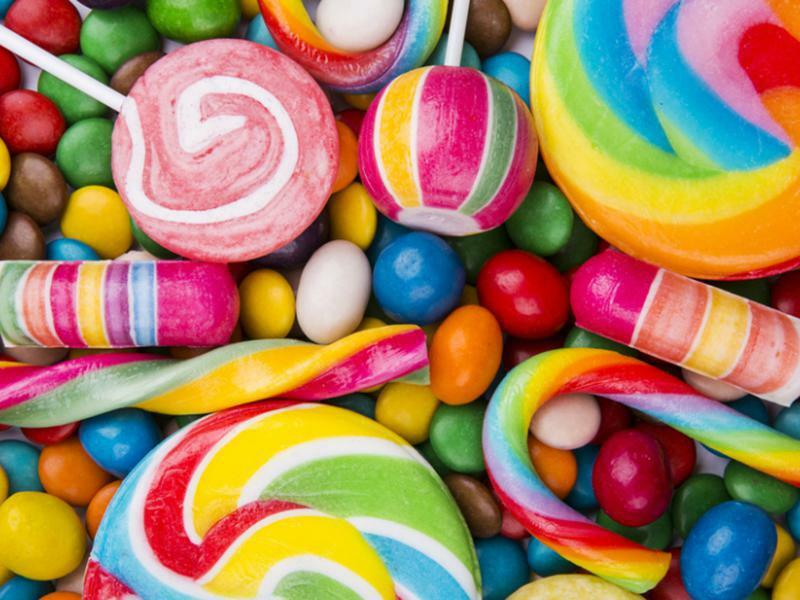 Candies are a big no if you want to have healthy teeth. The sugar content in candies is extremely high. We know it is not easy to abstain from these foods, but you should give it a try!